Walter Isaacson covers familiar turf, for me anyway, on the history of the world of computing and technology, stretching back to the ground-breaking ideas of Charles Babbage and Lady Ada Byron Lovelace, to the present in his newest book, The Innovators. Knowing the stories here did not distract me from enjoying Isaacson’s book, however. His strong writing style and ability to put events and people into a perspective made for enlightening reading. I particularly liked how Isaacson tried to draw out trends of the origins of innovation, building on recent ideas about how ideas often surface through collaboration, the “right cultural moment” and other factors more than individual genius and insights. Some innovations do get lost to the annals of time. Some get reborn. Some ideas are seeds to be planted and suddenly, bloom like crazy and change everything. The thread of research and development investments by companies and the government run through the success stories here, as Isaacson notes it is often from these cauldrons of ideas that technology which transforms society emerge, although he does rightly point out that the modern start-up culture — with low overhead and quick adaptation to a changing market — is changing that paradigm of innovation, to some degree. The Innovators is solid fast-moving tour guide of how we got to this moment, and Isaacson’s threads back to Lady Ada and her ideas on how machines might work in conjunction with people (and not to replace people) is a masterful way of locating ideas on the timeline of history, even if ideas are not always ready for their own time. This weekend’s writing prompt for Digital Writing Month brought me right back to the Making Learning Connected MOOC Make Cycle, in which we were asked to play with light. 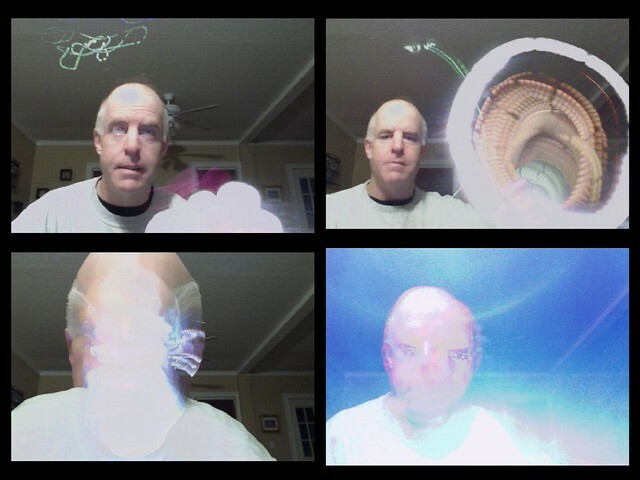 So, too, is the call for this weekend’s digital exploration, so I went back to find a nifty online tool called Glow Doodle, which uses your webcam to create arcs of light. In the pictures above, I used two different flashlights, playing around with the light trails that they made in the image. I’d like to experiment a bit more with it when I have time. It’s one of those “whoah” sites whose applications beyond the “cool factor” I am having trouble wrapping my head around. Still, the “cool factor” is pretty strong. Give Glow Doodle a try and see what you think. 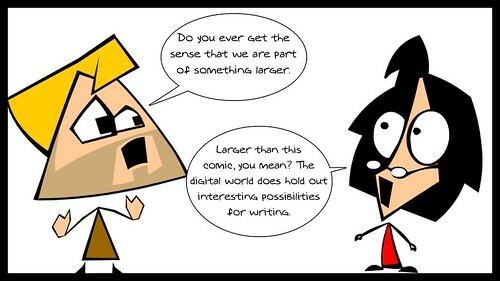 My friend, Jeremy, once asked us to define “digital literacy” as part of an online writing prompt. 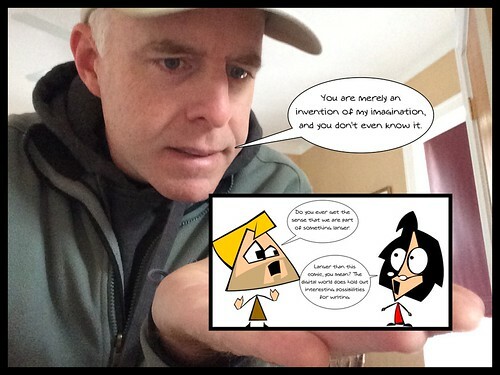 I worked with the app on the iPad called Telegami, sort of like Voki. The limited amount of time does not make for a very deep response but I was working to think of digital writing as music composition, in a way. It didn’t quite capture what I was going for (my fault, not the app’s fault). Maybe I’ve been watching too many Christopher Nolan movies but I had this idea for a comic in which the lens pulls back further each time, where each character thinks they are looking at other characters. Sort of like those mirrors facing mirrors in which your reflection forever. So I played around with perspective a bit, adding myself into the middle comic and then pulling back again in the end. I don’t know if it worked exactly how I wanted it to work but it was neat to try to make it work. 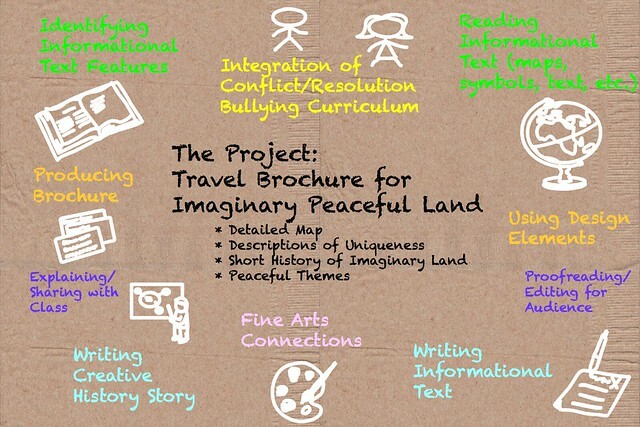 It’s that time of year: the National Writing Project Annual Meeting takes place this week and I am excited to be heading down to DC tonight for tomorrow’s workshops and gatherings of friends and colleagues in the NWP network. I won’t be staying for NCTE this year, alas, and wish I were. But there are some pretty cool NWP sessions that I am looking forward to. I am also co-facilitating with my good friends — Joe, Karen, Christina, and Mia (and Anna from afar, as one of our co-planners) — a session that is a spin-off from the Making Learning Connected MOOC, as we are exploring what “open learning” means. 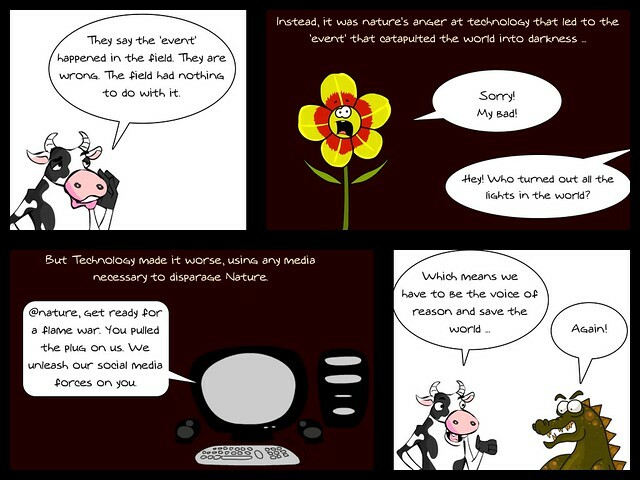 Our aim is to have participants experience an “open learning”-style session, with the CLMOOC as a sort of anchor point. 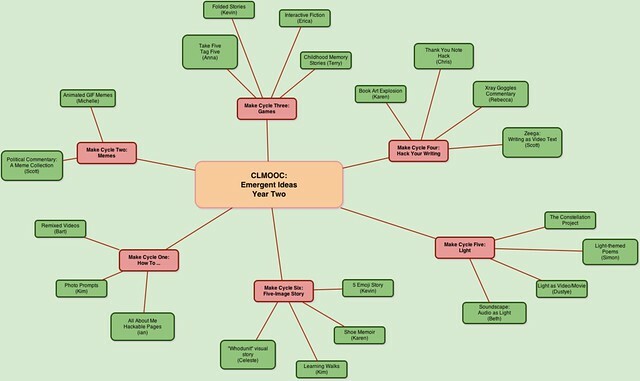 Over the past two summers, Writing Project colleagues have been connecting with other educators around the world in a massive open online collaboration known as Making Learning Connected, or more commonly, CLMOOC. 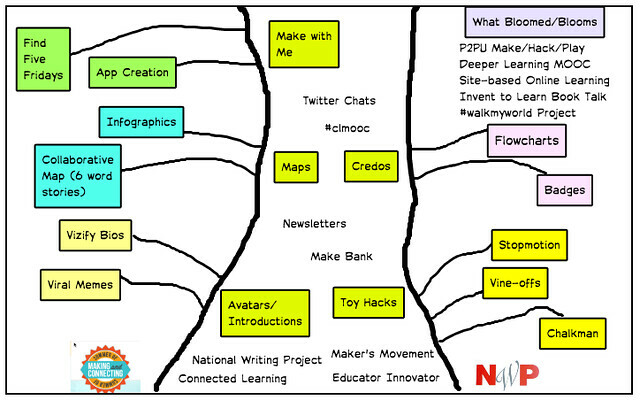 As designers, facilitators, and participants of CLMOOC, we can think of it as a giant online professional learning “sandbox” where we prototype and collaboratively design ways to connect learning for ourselves, as adults, and the youth with whom we work. 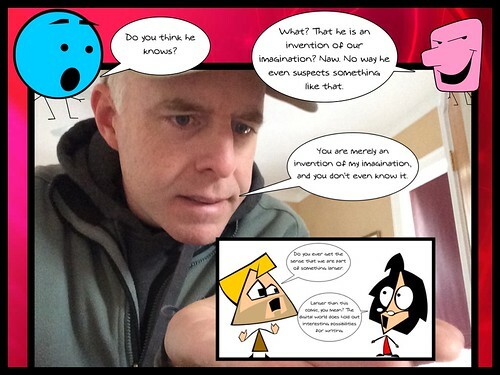 Come join us to explore the open designs of CLMOOC and think about the implications for this kind of production-centered, interest-driven, and peer-supported connected learning and teaching in your own context. Last summer, I discovered an interesting freeware software program for PC called AudioPaint (no luck finding an equivalent for my Mac). What it does is takes an image, analyzes its bitmap, and then turns the image into an audio soundscape file. Think about that for a second. It reminds us that all digital projects are really nothing more than data. 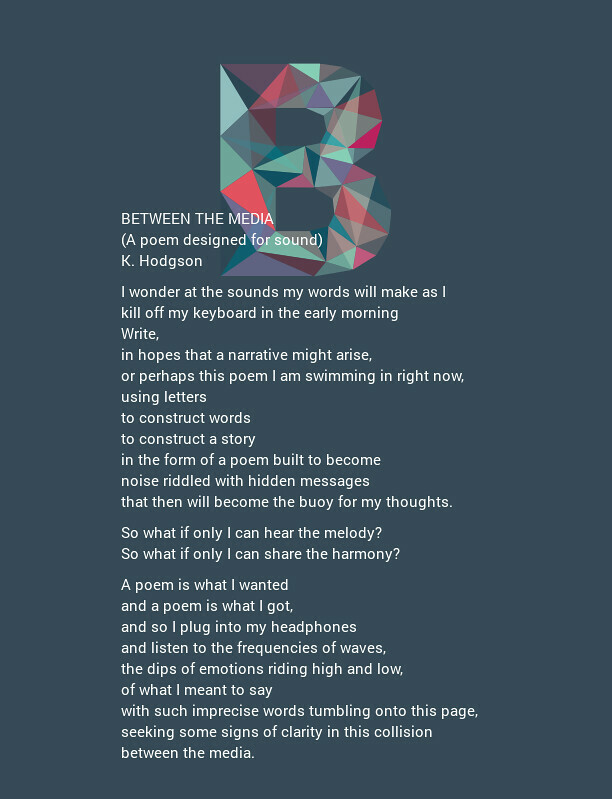 This week, as part of this week’s challenge with Digital Writing Month, I decided I would try to write a poem that would be converted into an image that will be converted into audio sound. The result is eerily fascinating, and each piece on its own might be sort of intriguing (at least, it is to me, the writer) but taken together, they mesh and merge in some strange kaleidoscope of composition that I can’t quite explain. Is this digital writing? Isn’t it? It surely hits the concept right at the very basic level that all of our keyboard strokes are data points that can be manipulated by software, and the challenge is … how to retain our humanity as writers in that kind of environment. I think we do this by putting what we write about into the context of being a writer. I listen to the sounds generated by the image of my poem, and I find myself seeking out narrative highs and lows, wondering where that wave sine might connect with that word phrase, and considering if the sounds I am hearing have any connection to the theme I was writing about. It’s a fascinating dance we do, here in this emerging world of digital writing. And then, I thought, what if I took the raw audio file from AudioPaint, and moved it into Audacity, adding in some layers of words from the poem, flipping the whole thing back on itself. Take a listen.